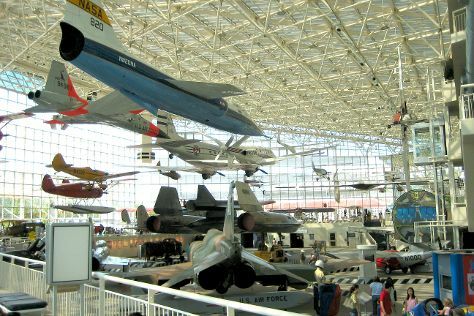 Start off your visit on the 16th (Sun): see the interesting displays at The Museum of Flight and then look for gifts at Metsker Maps. To find where to stay, reviews, photos, and tourist information, go to the Seattle trip itinerary planning app . Austin to Seattle is an approximately 6.5-hour flight. You can also do a combination of car and flight; or drive. The time zone difference moving from Central Standard Time (CST) to Pacific Standard Time (PST) is minus 2 hours. Plan for slightly colder temperatures traveling from Austin in June, with highs in Seattle at 74°F and lows at 57°F. Finish your sightseeing early on the 16th (Sun) so you can fly to Friday Harbor. Kick off your visit on the 17th (Mon): shop like a local with Island Studios, then admire the masterpieces at San Juan Islands Sculpture Park, then take in the history at American Camp, and finally head outdoors with Springtide Paddlesports. For more things to do, reviews, ratings, and tourist information, you can read our Friday Harbor online trip planner . Fly from Seattle to Friday Harbor in an hour. Alternatively, you can ride a ferry. Traveling from Seattle in June, things will get a bit cooler in Friday Harbor: highs are around 69°F and lows about 48°F. Wrap up your sightseeing on the 18th (Tue) to allow time to travel to Port Angeles. Port Angeles is a city in and the county seat of Clallam County, Washington, United States. Kick off your visit on the 18th (Tue): identify plant and animal life at Dungeness River Audubon Center, enjoy the sea views from New Dungeness Lighthouse, then experience rural life at Washington Lavender, and finally do a tasting at Harbinger Winery. Ask Inspirock to suggest an itinerary and make planning a trip to Port Angeles fast, fun, and easy. Traveling by combination of ferry and bus from Friday Harbor to Port Angeles takes 5.5 hours. Expect a daytime high around 66°F in June, and nighttime lows around 50°F. Finish your sightseeing early on the 18th (Tue) so you can travel to Olympic National Park. Start off your visit on the 19th (Wed): explore the striking landscape at Olympic Peninsula, then hike along Second Beach Trail, and then hike along Ozette Loop Hike. To see other places to visit, more things to do, traveler tips, and more tourist information, read our Olympic National Park journey planning website . The Route module can help you plan travel from Port Angeles to Olympic National Park. In June, daily temperatures in Olympic National Park can reach 66°F, while at night they dip to 50°F. Finish your sightseeing early on the 19th (Wed) to allow enough time to take a bus to Astoria. Kick off your visit on the 20th (Thu): appreciate the history behind Maritime Memorial, then get some jogging in at Astoria Oregon Riverwalk, then examine the collection at Seaside Inverted Experience, and finally get to know the fascinating history of The Lewis And Clark National And State Historical Parks. Here are some ideas for day two: look for gifts at Jack's Country Store, then enjoy the sea views from North Head Lighthouse, then immerse yourself in nature at Cape Disappointment State Park, and finally shop like a local with Don Nisbett Art Gallery. To find where to stay, photos, and tourist information, go to the Astoria vacation planner . You can take a bus from Olympic National Park to Astoria in 7.5 hours. In June, daily temperatures in Astoria can reach 66°F, while at night they dip to 52°F. Finish your sightseeing early on the 22nd (Sat) to allow enough time to drive to Hood River. The city of Hood River is the seat of Hood River County, Oregon, United States. Start off your visit on the 22nd (Sat): look for all kinds of wild species at Tom McCall Nature Preserve, then take in the pleasant sights at Rowena Crest Viewpoint, then do a tasting at Mt. Hood Winery, and finally take in the dramatic scenery at Starvation Creek State Park. To see traveler tips, where to stay, more things to do, and other tourist information, use the Hood River planner . You can drive from Astoria to Hood River in 3 hours. Alternatively, you can take a bus; or do a combination of bus and train. Expect a bit warmer weather when traveling from Astoria in June: highs in Hood River hover around 72°F, while lows dip to 55°F. Finish your sightseeing early on the 23rd (Sun) to allow enough time to drive to Portland. On the 23rd (Sun), play a few rounds at The Reserve Vineyards & Golf Club, then look for all kinds of wild species at Cooper Mountain Nature Park, and then browse the different shops at Washington Square. To see more things to do, where to stay, and tourist information, read our Portland trip planner. Getting from Hood River to Portland by car takes about 1.5 hours. Other options: take a bus; or take a train. Expect a daytime high around 77°F in June, and nighttime lows around 56°F. Finish up your sightseeing early on the 24th (Mon) so you can go by car to Newport. On the 24th (Mon), immerse yourself in nature at Beverly Beach State Park, then explore the landscape on two wheels at Mike Miller Park, then immerse yourself in nature at Seal Rock State Wayside, and finally look for gifts at The Chocolate Frog. To see other places to visit, photos, reviews, and more tourist information, use the Newport trip planning app . You can drive from Portland to Newport in 3 hours. Alternatively, you can take a bus. Prepare for a bit cooler weather when traveling from Portland in June: high temperatures in Newport hover around 61°F and lows are around 48°F. Finish up your sightseeing early on the 25th (Tue) so you can go by car to Bandon. Bandon is a city in Coos County, Oregon, United States, on the south side of the mouth of the Coquille River. On the 25th (Tue), look for gifts at Cranberry Sweets, then enjoy the sand and surf at Bandon State Park, then kick back and relax at Coquille Point, and finally stroll through Bandon South Jetty County Park. For reviews, more things to do, traveler tips, and tourist information, read our Bandon online holiday builder . Drive from Newport to Bandon in 3 hours. Alternatively, you can do a combination of taxi and bus. In June in Bandon, expect temperatures between 65°F during the day and 52°F at night. Finish up your sightseeing early on the 25th (Tue) so you can go by car to Eureka. Eureka is the principal city and county seat of Humboldt County in the Redwood Empire region of California. Start off your visit on the 26th (Wed): look for all kinds of wild species at Arcata Community Forest, then savor the flavors at Arcata Farmers' Market, and then explore the different monuments and memorials at Ferndale Historic Cemetery. Get ready for a full day of sightseeing on the next day: view the masterpieces at Trinidad Art Gallery, visit a coastal fixture at Trinidad Memorial Lighthouse, then enjoy the sand and surf at Trinidad State Beach, and finally identify plant and animal life at Arcata Marsh and Wildlife Sanctuary. For where to stay, traveler tips, ratings, and more tourist information, read Eureka trip planner . Traveling by car from Bandon to Eureka takes 4.5 hours. Alternatively, you can take a bus. In June, plan for daily highs up to 63°F, and evening lows to 52°F. 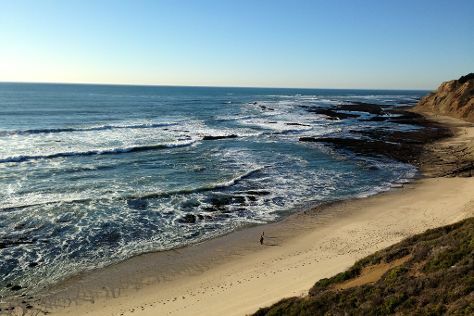 Wrap up your sightseeing on the 27th (Thu) early enough to drive to Mendocino. Mendocino is an unincorporated community in Mendocino County, California, United States. Kick off your visit on the 28th (Fri): stop by Gallery Bookshop & Bookwinkle's Children's Books, contemplate the long history of Ford House Museum, then steep yourself in history at Kelley House Museum, and finally explore the activities along Big River. To find traveler tips, reviews, other places to visit, and more tourist information, you can read our Mendocino trip itinerary maker app . You can drive from Eureka to Mendocino in 3 hours. Alternatively, you can do a combination of bus and taxi; or take a bus. Traveling from Eureka in June, you will find days in Mendocino are warmer (89°F), and nights are about the same (54°F). Finish your sightseeing early on the 29th (Sat) to allow enough time to drive to Calistoga. On the 29th (Sat), do a tasting at Amizetta Estate Winery, learn about winemaking at Tres Sabores Winery, then do a tasting at Prager Winery & Port Works, then savor the flavors at Woodhouse Chocolate, and finally do a tasting at Moone Tsai Winery. To find ratings, photos, reviews, and other tourist information, use the Calistoga planner . Traveling by car from Mendocino to Calistoga takes 2.5 hours. Alternatively, you can take a bus. Expect little chillier weather when traveling from Mendocino in June: highs in Calistoga hover around 83°F, while lows dip to 51°F. Wrap up your sightseeing on the 30th (Sun) to allow time to drive to San Francisco. Start off your visit on the 30th (Sun): kick back and relax at Fitzgerald J V Marine Reserve, stop by City Lights Booksellers, and then get to know the fascinating history of Golden Gate Promenade. You can drive from Calistoga to San Francisco in 1.5 hours. Alternatively, you can fly; or take a train. When traveling from Calistoga in June, plan for little chillier days in San Francisco, with highs around 71°F, while nights are about the same with lows around 55°F. On the 1st (Mon), wrap the sightseeing up by early afternoon so you can travel back home.